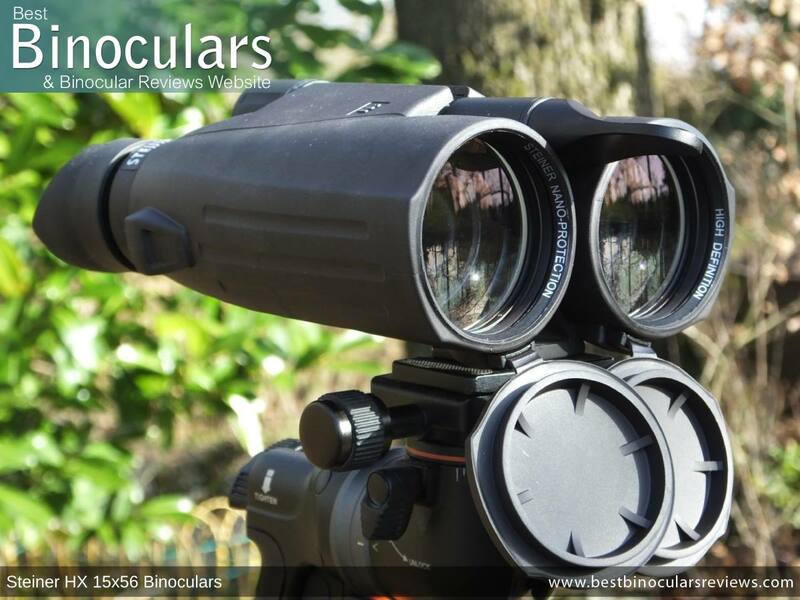 With every single one of their binoculars manufactured in-house in Germany, the Steiner Binocular brand is one of the most respected within the optics industry and is synonymous with quality workmanship and materials as well as good value for money. Steiner Optics was founded way back in 1947 by a man called Karl Steiner and so for almost 70 years, Steiner has been developing the mid to high-performance binoculars and other optics for the military, law enforcement, marine, birdwatching and other serious outdoor use. As a general rule and in my experience using many of their products, I have found that Steiner binoculars are of a high quality, show a great attention to detail are of good to great value for money and often demonstrate industry-leading innovation. It is this as well as the combination of superior German optics, precision manufacturing and rigorous testing, that Steiner has, in my opinion, some of the best binoculars in their class currently on the market. Many of Steiner's innovations have now been copied by many other manufacturers, these include the use of very tough armor made from rubber, the use of nitrogen filling to eliminate fogging of the lenses and water pressure proofing many of their bins to depths of up to five meters. 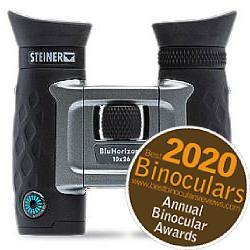 Steiner were also the very first to add a compass into a binocular. Many of their models have to endure the very rigorous specification test of the U.S. Military and because their toughness and durability, Steiner binoculars are used by the military, hunters, boaters, hikers, birders, safari guides and outdoor enthusiasts all over the world. I recently had the great privilege of visiting the Steiner headquarters in Germany where I met with a lot of great people at Steiner Optics and got a fascinating and extremely insightful tour of the factory where every single Steiner binocular is produced. Designed and made in Germany, the HX series is one of the flagship ranges from Steiner Optics and currently consists of four roof prism models. The company mainly markets the HX series to the hunting industry, however I feel that they are perfectly suitable for a wide range of other uses including general use, wildlife observation, birding as well as security surveillance. The available configurations consist of an 8x42, 10x42 and then the 10x56 that is designed to perform extremely well in low light and finally the high powered, long distance 15x56 option. As you would expect, Steiner HX binoculars are both water and fog proof. They have a tough exterior armor coating made from a rubber that has been specifically chosen for its toughness and resistance to oils and thus is less likely to perish over time. This twist-up eyecup include shields that are designed to block out light and distractions from the periphery of your view and a quick-release neck strap system that not only makes it very easy to remove, but you can also quickly swapped it over to a bino harness should you wish. The Schott N-BaK1 glass used is an interesting choice in that it outperforms the more commonly used BaK-4 glass in most of the key areas. 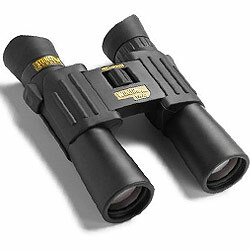 Know as the Nighthunter in Germany, the UK and the rest of Europe, but called the Shadowquest in the USA, Canada and the rest of the Americas, these high-end, large aperture (56mm) porro prism binoculars have been specially designed to outperform just about any other binocular in extremely low light conditions. Indeed there are many hunters who use them in the dark. Apart from the name stamped on them, these are exactly the same. 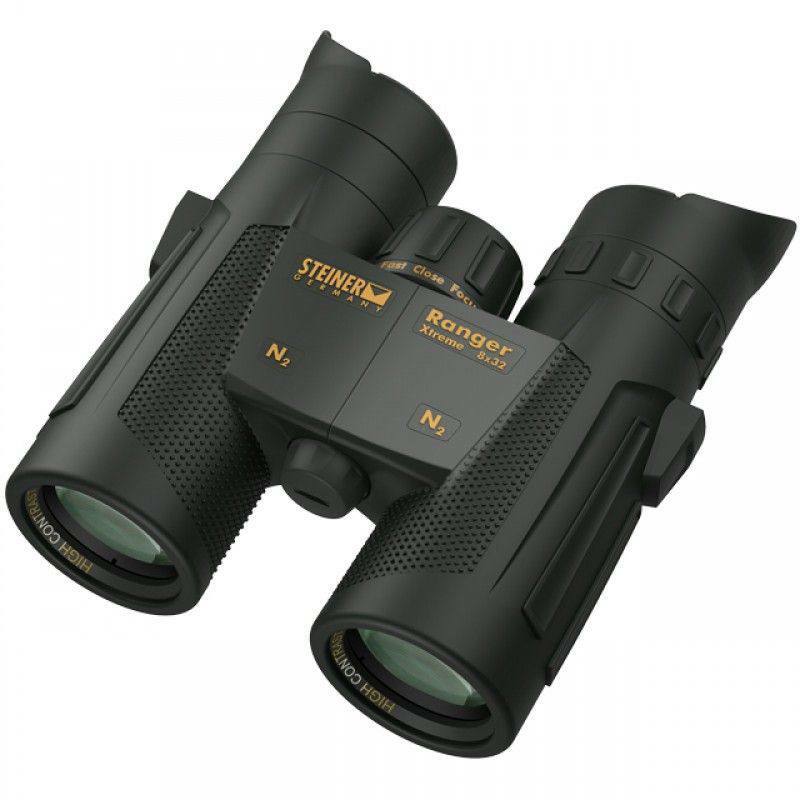 However it seems the Nighthunter is only available in the 8x56 configuration, Whilst Steiner Shadowquest binoculars can be found in both 8x56 and 10x56 versions. Just like their flagship HX binoculars above, these feature the same super tough chassis material as well as the same rubber armor that has been specifically chosen for its toughness and resistance to oils, making it last longer and unlikely to perish over time. They are fully sealed and filled with Nitrogen gas to prevent internal glass from misting or fogging up. 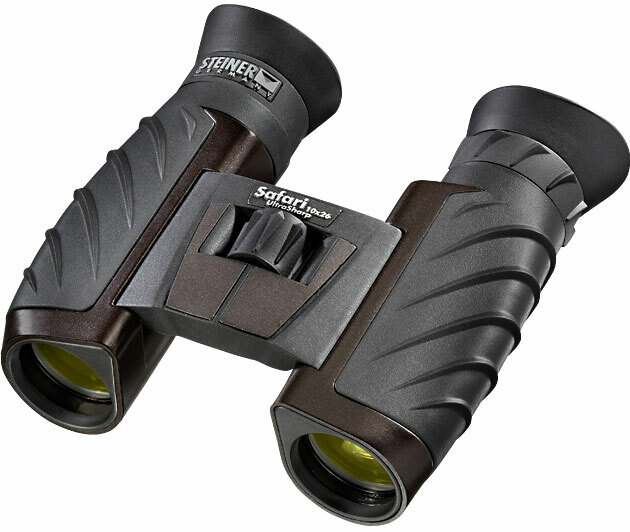 These Nighthunter/Shadowquest binoculars have fold-down rubber eyecups with Steiner's iconic side-shields that do an excellent job of preventing light from distracting you from the side. The lens covers and neck strap have their excellent quick-release system making them a cinch to remove and quickly change to a bino harness if you need. When I last checked, these high-end very high quality binoculars were currently available at around $950 in the US and £800 in the UK. The three models in the Wildlife XP binoculars are designed with travel and wildlife adventures in mind and are basically an evolution of the very popular and one of my favorite compacts, the Wildlife Pro Series. 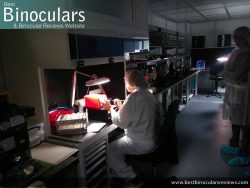 The main improvement is that they incorporate Steiner's XP optics system that focuses on extremely high precision during the assembly and manufacture of the lenses and which has an improved coating process which result in producing a very high quality, high contrast and bright image for a binocular in this size class. Designed with travel in mind, it is light and compact. 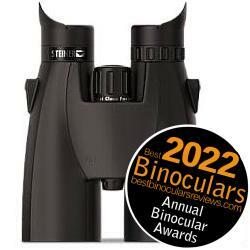 Like the other Wildlife and safari models, it features a duel hinge which enable the binocular to fold down to a really small size when not in use and will easily fit in most jacket and even shirt pockets. For more on this see my article on the Best Compact Pocket Binoculars, which goes over the different compact designs in detail and shows just how not all of them are created equal. The neck strap can be attached and removed very quickly and easily using their ClicLoc system and shows a good attention to detail. Other build features include a tough rubber armor, the body is fully water proof (up to 2m) which protects them from both moisture and dust. The have also been filled with Nitrogen gas which prevents internal fogging of the lenses and use a two-way-valve, which makes repairs simpler should it ever be needed. Steiner also back the Wildlife XP with an impressive 30 year warranty. 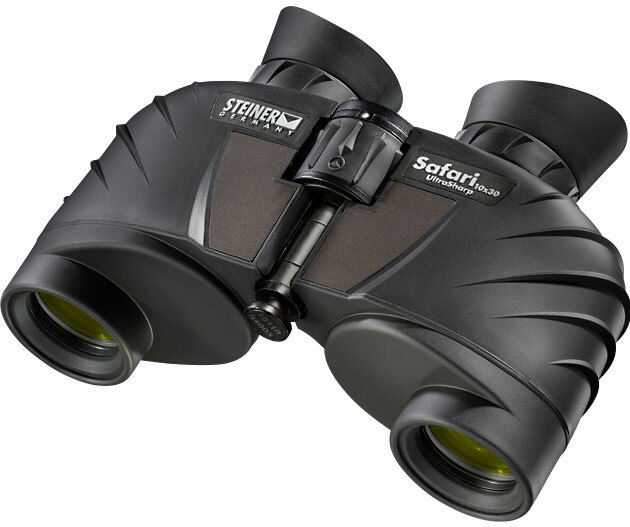 The wildlife Pro series of binoculars as the name suggests are designed for wildlife viewing and make perfect binoculars for safari holidays: Tough, waterproof, portable and manufactured from precision alloy, the Steiner compact Wildlife Pro series binoculars are built to handle the world's harshest conditions. The Wildlife Pro models are wrapped in a smooth, quiet and non-reflective earth tone rubber armouring that is said to make them almost invisible to wildlife. Depending on the model, they have a list price of between $400 and $500, but I have often seen them listed on Amazon from about $300 - $400. The Safari UltraSharp series consists of four low cost models, two very small roof prism designs and two compact porro prism models. All of which are aimed at the travel and outdoor enthusiasts and specifically those going on wildlife and indeed as their name suggests, safari adventures. Considering their low price point (see price range below), all the Safari UltraSharp binoculars feature a surprising amount of quality features and should outperform most of their competitors in this price bracket. All models are fully waterproof and covered in a tough and durable outer armor. They also come with Steiner's "High-Contrast-Optics" that they have been specially coated and manufactured with precision to give you a high contrasting, bright image with a natural feel to the colors. The two porro prism models come with what Steiner call their Sports-Auto-Focus Plus system. Now as I explain in this document on Auto or Self Focusing Binoculars, they don't actually auto focus at all, they are probably better described as fixed focus binoculars with a very long depth of view. The upside of these fixed focus is that you never have to focus on an object making target recognition as fast as possible. However on the downside, to get the very long depth of focus they always have a pretty poor (far) near focusing distance. With the Steiner Sports-Auto-Focus Plus system, they have got around this by adding a focussing wheel which you only turn when you want to observe objects at a close range (from 2 to 20m) this makes these models far more useful in a wider variety of uses than traditional fixed focus bins and is an innovation that I really like. Steiner also offer a 10 year warranty on the UltraSharp range. 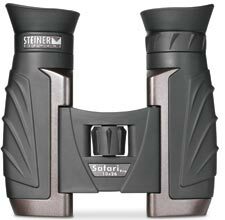 So if you are looking for a very reasonably priced, but good quality pair of compact binoculars, you could do far worse than this Safari series from Steiner. Some of Steiner's cheapest binoculars are also some of their most popular, their Safari binoculars are compact, tough have quality Steiner BAK-4 optics all at a very reasonable price, making them in my opinion some of the best value for money binocular in their class. 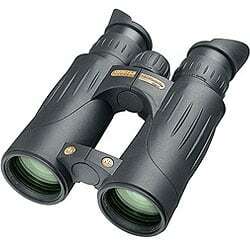 Stein Safari binoculars have been specifically designed and developed for travel and any outdoor adventure activity. 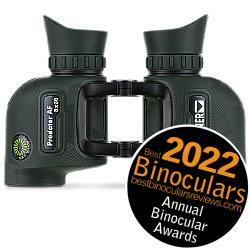 Well balanced binoculars with an ergonomic design makes them comfortable to hold. The feature quality workmanship and Steiner's Bak-4 optics all wrapped in a compact and tough body that make them ideal traveling companions. If you are looking for a reasonably priced, quality pair of compact binoculars, you could do far worse than the Safari Pro series from Steiner. Depending on the model, they have a list price of between $120 and $200, but I have often seen them listed on Amazon from as little as $85 for the 8x22 safari model. New from Steiner Optik is their small selection of BluHorizons binoculars who's main and completely unique selling point is their Autobright™ optics that automatically adjust the brightness of the view depending on the light conditions. This means that their lenses function in a similar fashion to the photochromic lenses that you get on some adaptive sunglasses. So without going into the technical details, what basically happens is that in very bright light the lenses transmit less light which reduces glare and the image becomes less washed out and thus more vibrant. 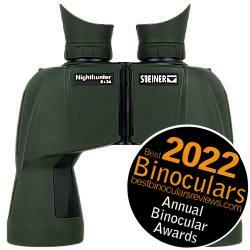 Steiner BluHorizons Binoculars are currently produced in an 8x22 and a 10x26 configuration. Both compacts use roof prisms with the double hinge body design that permits them to fold down into a true pocket-sized binocular and is a design that I really appreciate on a compact. Just like their top of the range models, the BluHorizons feature the same super tough NBR Long Life Rubber Armoring that has properties that specifically chosen for its toughness and resistance to oils, making it last longer and less likely to perish over time. The BluHorizons are rainproof with a IPX4 rating, have a centrally located, fast focus wheel and fully multi-coated optics. 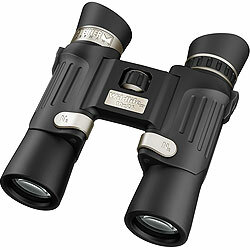 Like many binoculars from Steiner, these feature fold-down rubber eyecups with side-shields that as always do an excellent job of improving the viewing experience by preventing light from entering from the side. Ideal uses include travelling, especially safaris, and backpacking. Skiing, Hiking, Camping, General Wildlife Observation & Lightweight Hunting. 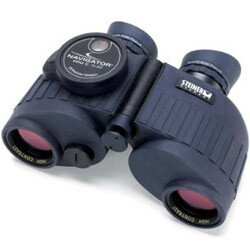 Due to their size and double hinge design, they also make great binoculars for older children. These mid-level compacts are retailing for about $190 in the US and £170 in the UK. Designed specifically with birders in mind, the range of Steiner Peregrine XP Binoculars are as far as I can tell marketed as Steiner Discovery Binoculars in the UK and Europe, but incase they are different, I will split them up below. The Peregrine XP's use a die-cast Magnesium chassis for it's strength and lightweight properties. Like most other Steiner's these are completely waterproof and fully submersible. The optics on these are said by the company to offer very high light transmission and give you images with a neutral, true color, but with high contrast. This combined with with their "NANO-Protection", a water phobic coating that repels moisture away from the larger than usual 44mm objective lenses and oversized 30mm ocular lenses to ensure that the image produced is always clear even in very poor conditions. Performance of the roof prism is improved by the use of a phase correction coating as well as a dielectric mirror coating that eliminates glare as well as stray light, improving the brightness and resolution of the image produced. These coatings as well as the XP optical coating take the Steiner's XP's to new levels of performance and ranks them up there with the very best. Depending on the model, they have a list price of between $1599 and $1,629, but I have often seen them listed on Amazon at far cheaper prices. The Discovery range of binoculars are built in Germany for discerning birders around the world and according to Steiner they set new standards for optical excellence. The Discovery´s ergonomic Soft grips are especially formed soft thumb cushions with a non-slip surface that make it unique in handling. With the extensive eye relief, you benefit from a maximum viewing comfort. High-Definition XP-Optics deliver a first-class light transmission, brightness and optimal contrast. A number of further innovations make our Discovery models unique and powerful. And all packed in the legendary Steiner ruggedness. Depending on the model, they have a list price of between £1319 and £1375, but I have often seen them listed on Amazon between £990 and £1100. Ideal birdwatchers binoculars, the new SkyHawk Pro binoculars will not only impress you with their outstanding handling and first-class performance but they are also doing their best to protect the environment: Steiner’s cooperation with the World Wildlife Fund (WWF), the UNESCO project “Schutzstation Wattenmeer” in Northern Germany and a number of other global conservation projects have resulted in the use of exclusively "green" eco-glass for lenses and prisms and hypoallergenic chloride-free rubbers. Glass refining takes place without arsenic, antimony or other harmful heavy metals. 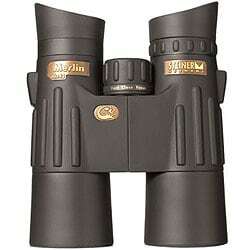 Steiner SkyHawk Pro’s optics now help you more than ever to find, watch and identify the birds you are looking for. They have a large field of view for quick locating and a really fast close focus system. Only high contrast optics, ECO-glass, multi-layered, high-tech coatings of high-grade metals and rare minerals are used in their production to deliver the highest optical performance and true-to-life color rendition even in very poor lighting conditions. As well as being tough, Steiner's nitrogen pressure system with its unique 2-way-valve technology prevents fogging on the inside of the binoculars while keeping them pressure tight under water to a depth of one meter. Choose the pair of binoculars that best meets your individual needs from the five different SkyHawk Pro models. 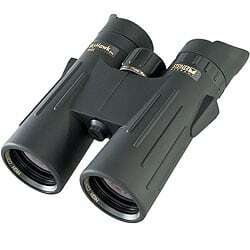 These Steiner birdwatching binoculars which are marketed in the US and aimed at birders. As such they focus on giving you a nice wide field of view to make locating your target as quick as possible, something that is especially important for things like birds on the move. The alloy body is nice and light and also ensures that the Steiner Merlin is tough, fully waterproofed for use on the rainiest of days. The optics are made using high spec optical glass. Steiner have coated them with their own natural colored multi-coating . These anti-reflection coatings improve the amount of light that gets through the system and to your eyes, for a bright image even in poor ambient light. Steiner have also added what they call their "Fast-Focus" system which is able to go from close focus to infinity with 2 complete turns of the focusing wheel. Another example of the company's great attention to detail is the fact that these Merlin binoculars are colored in a specific earth tone brown which Steiner have chosen with the collaboration of professional birders as the color that is least noticeable to birds. Designed specifically with hunters in mind, the main feature of Steiner Predator binoculars are the high contrast predator optics that are said to give wildlife no place to hide! Steiner Optics add their own special color adjusted transmission coatings (CAT) on the lenses that help to block the colors of haze and foliage, whilst at the same time enhancing the visibility of browns, reds and other wildlife colors. The idea is that this will help you spot hidden wildlife in the bush by making it stand out more. Whilst all are aimed at hunters, the different sized models within the series are designed for slightly different uses within hunting. For example the larger models with their large objective lenses can capture more light are better suited to those hunting in the thickest cover or in other low light conditions. Whilst the lighter smaller pairs will be better suited to those traversing larger distances over difficult or hilly country. 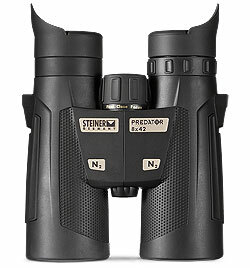 The 8x30 and 10x40 Steiner Predator Pro models feature Steiner's Sports Auto Focus feature and are basically focus free binoculars, which once they have been set for your eyes, require no further focus adjustment and so make for very fast target acquisition as well as offering incredible depth of field, for sharp images of everything from 20 yards to infinity. 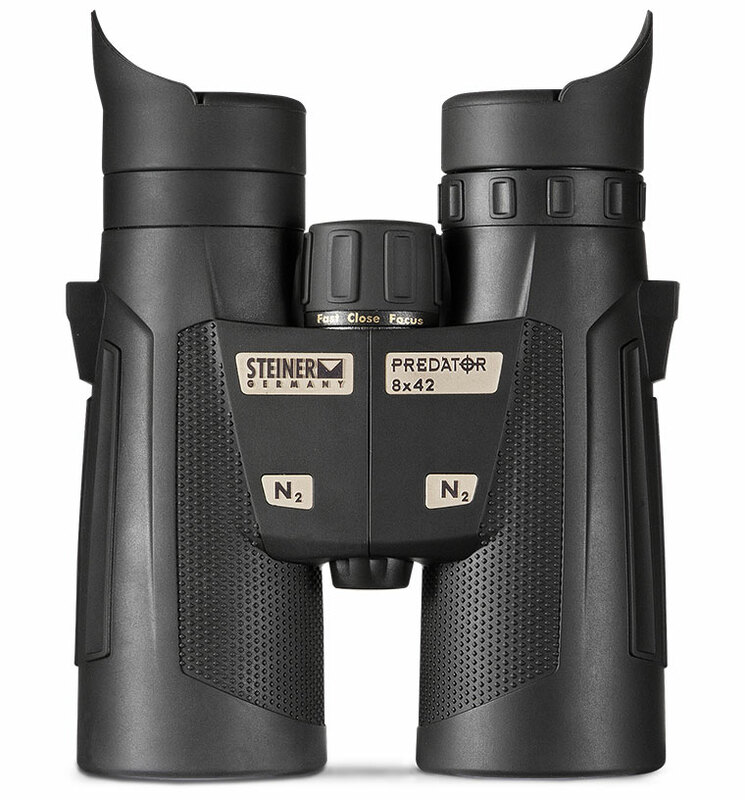 Steiner Predator Binoculars - For a more detailed review of these bins which includes details on the latest releases of the Predator and their main specifications. Regarded by many as producing the finest marine binoculars in the world, Steiner supply optics to many navies and professional marine users all around the globe and sitting right at the top of their wide range of marine binoculars is their Commander series of military grade 7x50 binoculars. Made in Germany, there are currently 3 models within this series, all of which use the combination of Porro prisms, a moderate 7x magnification and large 50mm objective lenses. But why is this? Most people I come across mistakenly assume that a more powerful binocular would be better than one with a lower magnification. Sure in some situations this may be true as a high magnification can get you closer to the action and deliver a more detailed view a. The problem is that the more you magnify an image the more exaggerated image shake and movement becomes. When using high power binoculars for astronomy it is ideal to mount them onto a tripod, but when you are using your optics on an unsteady platform like a yacht or boat on the water, this is impossible and thus a high power can actually make it very difficult to use. This this is one of the reasons why Steiner and many other manufacturers use a moderate 7x power marine binoculars. 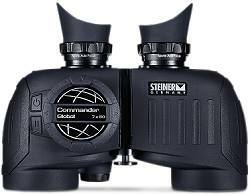 Fully water and fog proof, all Commander models use Steiner's Nano-Protection lens coatings. This Aquaphobic repels water at the molecular level and thus it simply rolls off the lens allowing you to continue to use the optics in the rain, mist or when sea spray is at it's worst. 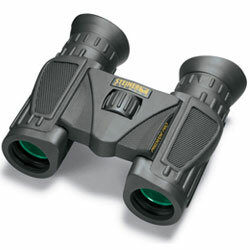 Steiner Commander binoculars use their "Sports-Auto Focus System", essentially an individual eyepiece focus mechanism, this type of binocular is often confusingly referred to as a self-focusing binocular. What it basically means is that once you have set each eyepiece to compliment your particular vision, everything from 20 yards to infinity remains in focus without ever having to make any further focal adjustments. On the water, this can be very useful as it makes it possible to easily use this fairly hefty instrument even with one hand. All Commander models come bundled with a floating neck strap that is designed to keep the instrument from sinking should you drop them overboard. Add to this the bright yellow color and a reflective trimming made by 3M and you have the very best chance of recovery. Like the Commander C model, these have a digital compass, but this model has an electronic magnetic field measurement so that you are able to receive precise readings from anywhere in the world. They also incorporate Steiner very best Diamond Marine lens coatings, that offer an incredible 96% light transmission across all wavelengths allowing the brightest views in very poor light. Steiner also includes a super deluxe carry case. Its semi-rigid construction, they provide your investment with the very best of protection when not in use. A really interesting video produced by the Discovery Channel from the How It Is Made series that gives us a fantastic insight into the main steps in making a pair of Steiner Commander XP Marine binoculars. In this article, I take a look at the main steps in detail and expand on the information given. 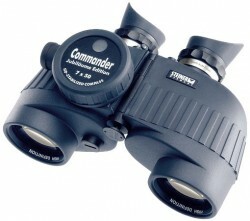 At the time of writing, these top end marine binoculars range in price from about $550 / £500 to $1200 /£900 for the Steiner Commander 7X50 XP C Binoculars. Taking many of the high end features and components from the alpha level Steiner Commander series, the range of Steiner Navigator Pro marine binoculars is still a very high end product, but one that is aimed at the more recreational user on a slightly tighter budget. 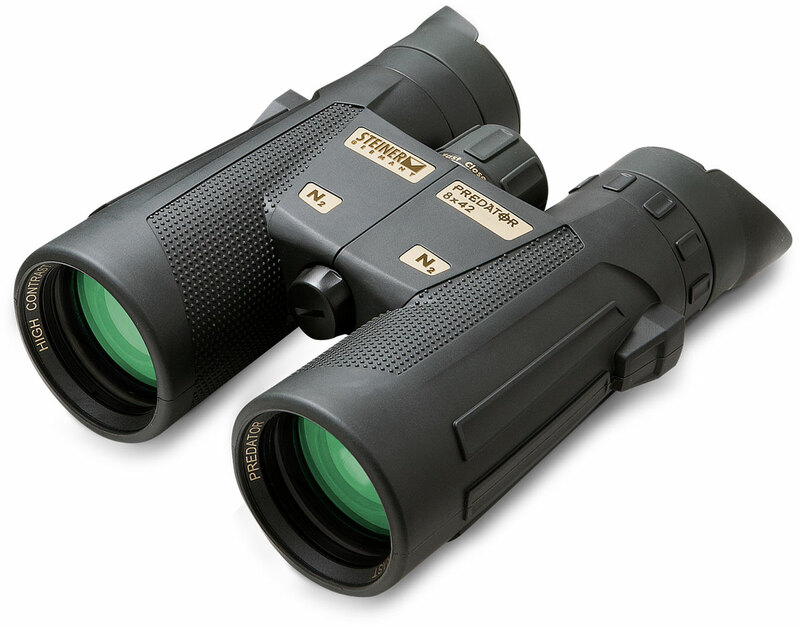 Like all other Steiner binoculars, these are made in Germany and are available with either large 50mm objective lenses for supreme low light performance, or the more compact 30mm options. All four models have a 7x magnification that is ideal for marine use and you get the choice of either having an onboard compass or not. 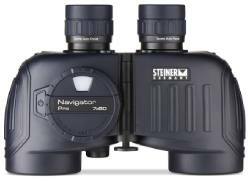 There are two ranges of Steiner marine binoculars, Steiner Commander and the value for money Navigator binoculars that come in both compass and without compass versions as well as slightly different models in the US compared to Europe. Not only are they extremely rugged, Navigator marine binoculars are guaranteed to be water-pressure proof down to a depth of 2 meters. They are the ideal companion for the water sports enthusiast or professional. The Navigator 7x50 K is fitted with the largest available stabilized HD compass ever to be fitted into binoculars. The larger compass means more accurate bearings making it possible to calculate size or distance with precision giving you just that little bit of extra safety on the high seas. On top of this fluid damping and illumination make it possible to fix your position under any extreme condition imaginable. The Navigator 7x30 is the world’s first compact compass binocular and comes with a LX Precision Compass that is very well stabilized by a fluid dampening system. 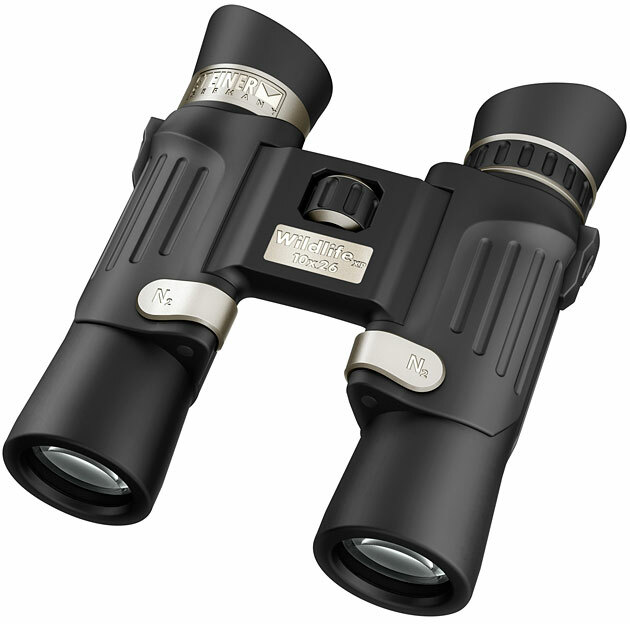 A wide variety of binoculars in this series mean a wide variety in prices ranging from about $200 / £220 to over $450 /£400 for the Steiner Navigator 7X50 Compass Binoculars. Please note, what follow is a brief over view of this series, for far more details take a look at my full guide to the series of Steiner Ranger Xtreme binoculars. Marketed as high performance, but mid-level hunting binoculars indeed take a look at this article on the Best Hunting Binoculars for Under $600 / £ / € where they feature, but I have to say that there is also no reason why the series of Steiner Ranger Xtreme binoculars would not also be ideal for a wide range of other uses including general wildlife observation, birding and depending on the model, travel, safaris and for watching outdoor sporting events. Available in a mid-sized 8x32, two full-sized models, an 8x42 and 10x42 as well as a large 8x56 model all binoculars within this series use roof prisms. 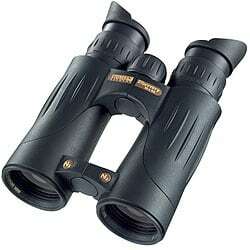 The 8x32 model really caught my as it has a really wide field of view (399ft @ 1000 yards / 133 m @ 1000m). Whilst there is no doubt that this is important for hunting, it is also something that most general wildlife observers and in particular birders really appreciate as it allows you to more rapidly place your subject in your view and then in the case of small, fast-moving and erratic birds, it is much easier to follow them at closer ranges. Steiner's Fast-Close-Focus system is a feature on all Ranger Xtreme binoculars which further adds to the speed at which you can not only get your subject in view but then view it in pin sharp detail as the focus mechanism is geared so that wheel requires fewer turns than what you typically get on a binocular. Another excellent feature on these Ranger Xtreme binoculars and which Steiner use on may of their instruments are the shields on the sides of the twist-up eyecups. Made from a soft, but hard-wearing silicone, they are not only comfortable, but they also block out light and any distractions from the periphery of your view. I really like this as it not only enables you to better focus on your subject, but it helps maintain a better view no matter what direction the light is coming from.